Happy Sunday! I'm on Creative Scrapbooker Magazine's Blog today as a monthly blogger sharing my Happy Birthday ATC that features the new awesome Baked Texture Embossing Powder by Seth Apter and Emerald Creek Craft Supplies, Elizabeth Craft Designs, Ranger Ink, Creative Scrapbooker Magazine and Scrapbook Adhesives by 3L products. 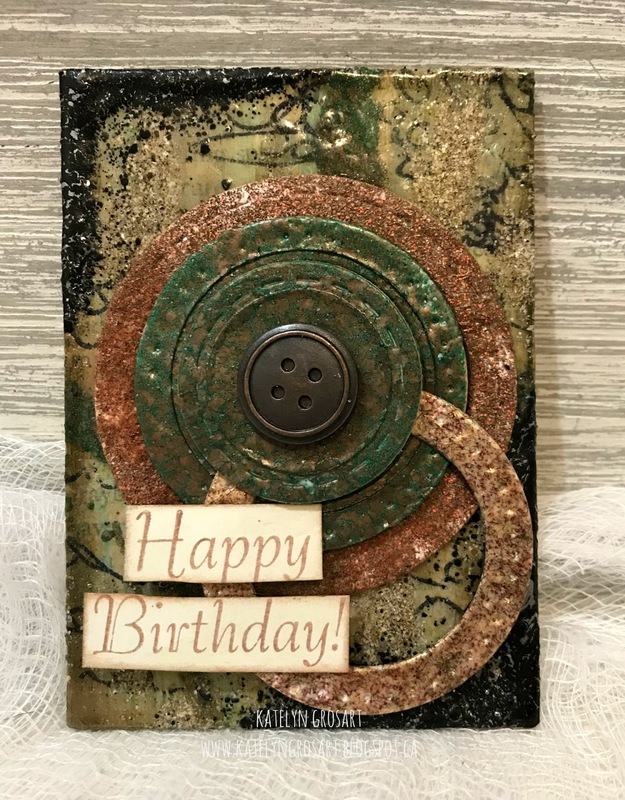 You'll want to make sure to stop by the Creative Scrapbooker Blog to read about my Happy Birthday ATC so that you can recreate it at home. That surface patina - yes, yes, yes! Totally looks like metal. Yes, love the patina!! It totally looks like metal.